Choosing a content management system (CMS) is one of the most important decisions you’ll make when creating a website and launching a content marketing strategy. This software allows authorized users to create, organize, edit and publish content for site pages, blog posts and more. It can also integrate with existing software solutions to create a seamless experience for your marketing and sales teams—and for your customers. CMS software options range in sophistication and capabilities. Some solutions cater to personal blogs or websites, while others are specifically designed for businesses. Here are a few things you’ll need to keep in mind as you begin your search for the best content management system. Your website content is among your organization’s most valuable assets. Quality content helps prospects find you via search, establishes credibility for your brand, guides new leads down the funnel and helps build a lasting relationship with customers post-purchase. Without a CMS, this content is static—it cannot be changed or updated without assistance from a developer. 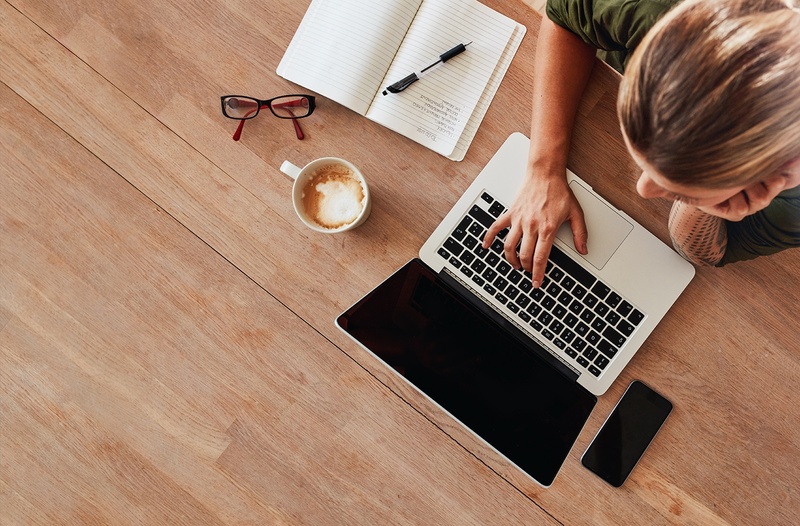 A content management system allows everyone on your marketing team—and anyone else in the business who touches your content—to maintain your website’s content. Think of your CMS as the content mission control center. This software allows you to optimize, grow, edit and remove content whenever you see fit to meet the ever-changing needs of your business and your customers. What Can I Do with a CMS? Most content management systems offer web-based publishing, document management, file indexing and, as mentioned above, the option to create, publish, edit and remove content from your website. You can also manage users by setting different levels of permission to ensure employees, contributors and other personnel are restricted only to the access they need. Depending on the user-friendliness of the content management system you choose, you likely will not need a great deal of in-depth technical knowledge. Most CMS solutions include a rich text editor, which allows you to customize pages and blog posts without knowing HTML or other coding languages. A rich content editor also allows you to quickly and easily add photos, videos and other elements to a page. What Should I Consider Before Choosing a CMS? Will it integrate with my favorite apps and marketing automation tools? Most marketing teams use multiple apps and solutions to meet a variety of needs, such as a live-chat feature, analytics and insights dashboards, account-based marketing tools, e-commerce platforms and more. Check to make sure the CMS you invest in integrates with your favorite tools. Or, better yet, consider a content management system that offers these solutions so you can eliminate additional costs. Will it integrate with my customer relationship management (CRM) software? Just as your CMS is your marketing team’s mission control center, your organization’s CRM is your sales team’s hub—it’s where they track and update all sorts of useful data about your contacts, from their funnel stage to their purchase history. It’s crucial your CMS integrates with your CRM to ensure closed-loop reporting and better alignment of your sales and marketing teams. Some platforms may offer both a CMS and a CRM. What resources do I have in-house? Do you have marketing technologists, developers and IT resources on staff to help deploy and manage your content management system, or will you need the help of outside resources, like an agency? If you don’t already have a staff to maintain your CMS, then you’ll want to opt for a SaaS solution rather than on-site software. In most cases, a SaaS option also means a smaller up-front investment and automatic new feature updates, which may be appealing for your team. Does it offer a user-friendly editor? Ease of use is one of the most important considerations you can make when you invest in a content management system. Make sure your CMS has a clean, simple and easy-to-navigate user interface so even your most non-technical users will feel comfortable with the software. You may also want to make sure your CMS offers ready-made themes, content modules and drag-and-drop page creation capabilities if you’ll be building and maintaining site pages without the assistance of expert coders. Can I customize the display? A great CMS offers customization options not only for what’s displayed on your website, but also the experience your users have when they log into the software. Can they customize their own dashboards to represent the information they need most? Having this level of personalization will ultimately increase your team’s efficiency when using your CMS. Will the solution scale as my business changes and grows? You don’t want to invest in a CMS and build out hundreds of pages only to learn that it doesn’t offer the scalability you need (and then have to migrate to a new CMS and start all over). If you anticipate your business doubling or even tripling within the next several years, make sure your content management system can grow with you. Don’t be shy about asking the vendor about any new features they’ll be releasing in the coming months, how they keep up with market trends and how well they’ve future-proofed their solution. There are few things more frustrating than facing a complex issue with your CMS and having to wait on hold for an hour—or, worse, having no support at all. Make sure your content management system vendor offers reliable support. There are lots of different content management systems available for different purposes—like WordPress, Drupal or Joomla, to name a few. But if you’re looking for a powerful, user-friendly CMS explicitly designed for businesses that want to attract and convert customers, we believe HubSpot is your best option. 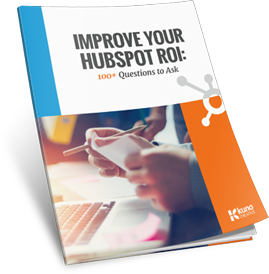 In addition to its content editor, HubSpot also includes features to drive lead generation, utilize marketing automation and track analytics. How much does a good CMS cost? Nearly every stakeholder involved in choosing your company’s CMS will be interested in cost. There is a content management system available for almost every budget, but the most important thing to consider when weighing costs is the value of the product. In other words, there’s no sense in opting for the cheapest option if it doesn’t offer the features and capabilities you need to meet your business goals—especially if the solution doesn’t include the updates, advanced integrations and reliable customer support your marketing team needs to get the most from your investment. While the most feature-rich content management systems are usually some of the most expensive, they’re also generally better equipped for driving quality leads and helping your team be most productive. Don’t just consider cost—factor in ROI, too. With so many available options and so many things to consider, choosing a content management system can be a challenging task. But by keeping the above considerations in mind, you can quickly wade through the options and find the right CMS solution for your business.